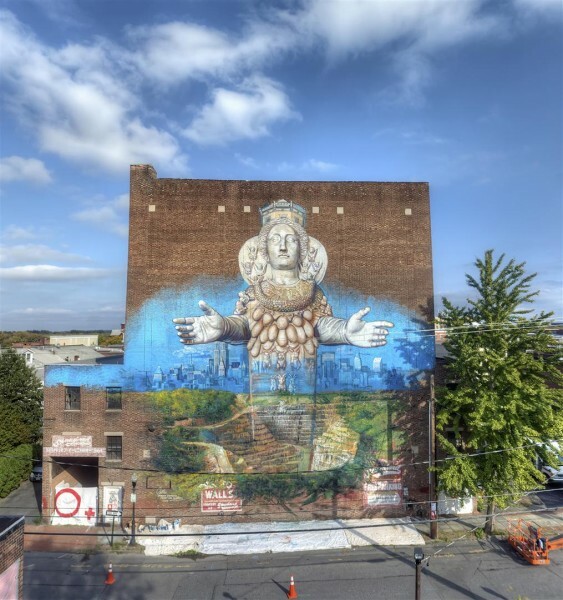 Not long after finishing his big installation at Rice University Art Gallery, prolific artist Gaia is back on the streets focusing on a new mural in Kingston, NY for the O+ Festival, a very unique event in which artists exchange their contributions for health and wellness services from art-loving doctors, dentists, and other medical providers. 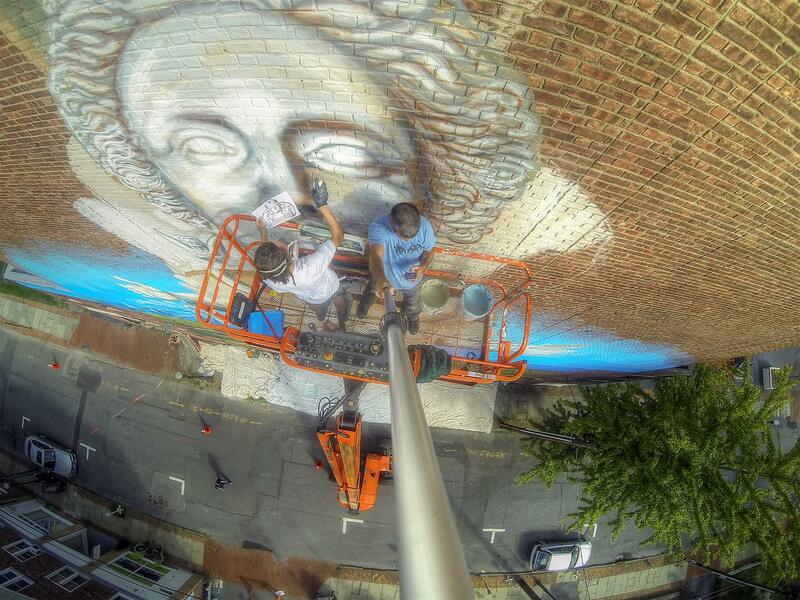 Gaia painted a massive, six story wall with Artemis, Greek goddess of the hunt and fertility in the center of it. This powerful female figure is represented through a marble statue that is emerging from an exhausted quarry, a hole within mother earth. The hole in turn represents much of upstate New York’s early economy and history, given that marble, blue stone, cement and other elements were mined from the earth. 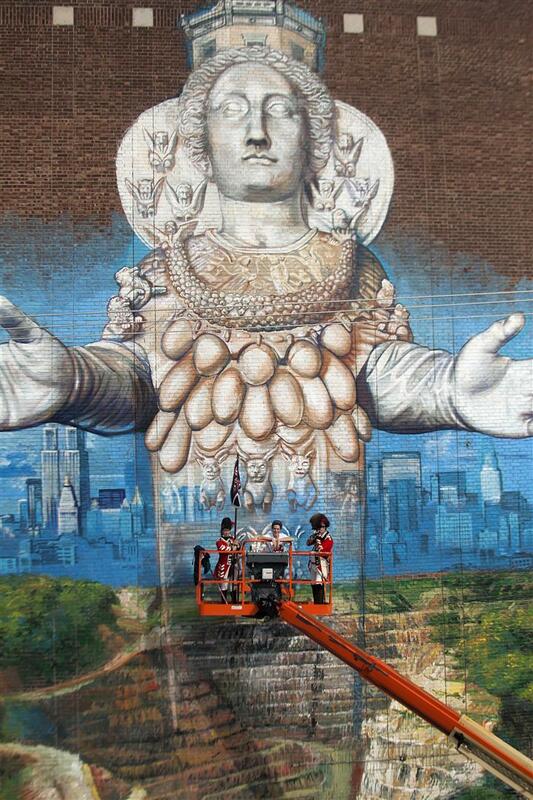 The statue made of that same material is actually emerging from the past that helped build NYC and further, through the exploitation of a resource rich valley. After this project the artist is back in Texas for Texas Contemporary Art Fair, where he is painting portraits of local endangered birds paired with historically preserved houses. Categories: Features, Seen on Streets, Street & Urban Art. Tags: Features, Gaia, New York, Seen on Streets, Street & Urban Art.